You will receive a 75 page Pet First Aid & CPR reference manual. 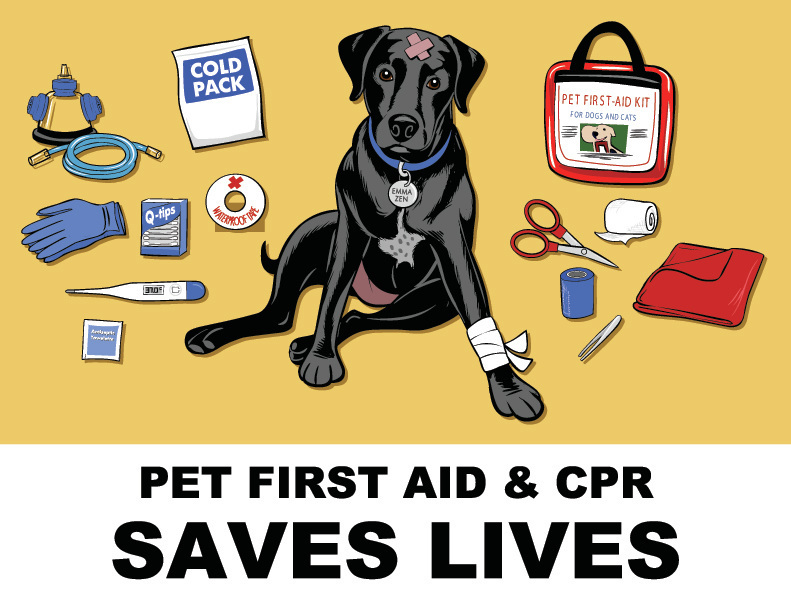 We cover topics from pet safety, emergency preparedness, basic pet first aid; including bleeding, bandaging, pet first aid kits; what's in them and how to use each item, identifying what's not right, poisonings, choking and pet CPR! & More. Please use YOUR button below. (Do not use a button on any other page) Your fee is $65.00 and using another page may sign you up for a different class at a different price, THIS is YOUR special fee!!! If you pay on day of class, fee is $75.00. address and time. We will have copies of your registrations.